Hang your Christmas wreath in style with a nickel plated, lacquered wreath hanger with a brass accent. 14" length, 3" deep, 1.5" wide. Over the door wreath hanger. 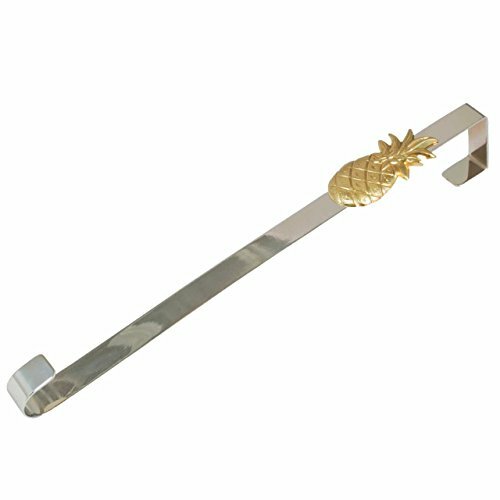 Nickel Plated with solid brass pineapple accent. 5.4 oz. weight.